Enquire now, for start dates! The Bachelor of Communication (Journalism), from Deakin University, provides key journalism skills and knowledge for those seeking careers in the communications industry. Throughout this comprehensive undergraduate course, you’ll undertake hands-on learning to develop journalistic skills in print, radio, television and online platforms. Throughout years one and two of the course, you’ll build a strong foundation of techniques and conventions for researching and reporting stories, interviewing and news writing. In your third and final year, you’ll complete intensive news production work and undertake an industry internship. The course consists of 18 core units and 6 electives that cover a range of academic and professional skills. Study online or on-campus in Melbourne or Geelong. All applicants must meet the minimum English language requirements. Entry for school leavers will be based on their performance in the Victorian Certificate of Education (VCE) or its equivalent, with pre-requisite units 3 and 4; a study score of at least 25 in English EAL (English as an additional language) or 20 in English other than EAL. Applicants will be selected in accordance with the published clearly-in Australian Tertiary Admission Rank (ATAR) for that year. other evidence of academic capability judged to be equivalent for example relevant work or life experience. Established in 1974 as Australia’s first regional university in Victoria, Deakin University has consistently raised the bar in delivering quality tertiary education with a focus on excellent teaching and research. The multi-award winning education provider teaches over 53,000 students a year, offering renowned courses that integrate real-world expertise and practical skills. Get recognised with Deakin in a range of industries, including nutrition, sports management, property management, law, business and more. Plus, they’ve have ranked in the top 2% by the acclaimed Academic Ranking of World Universities (ARWU). As a student of Deakin, you’ll get support every step of the way along your learning journey! They’ve got a range of on-campus facilities and online features to help ease the pressure of study, including on-campus childcare services, a medical centre with qualified nurses and doctors, free and confidential counselling (face-to-face or via phone) and more. Deakin also offer advisers and resources to help develop your academic skills. Advisers are available on campus and online to help guide you in your research, assignment and study practices. Upon successful completion of this course you will receive a Bachelor of Communication (Journalism) from Deakin University. Students graduate with a portfolio of news artefacts that will help them pursue journalism and media positions in news organisations of any size. Graduates may also pursue further study in the form of a communication honours degree. Eligible students can apply for the Australian government's HECS-HELP loan to cover the upfront costs of all or part of your fees. 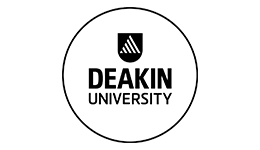 Deakin University also offers scholarships to successful applicants. Students can also pay fees upfront. HECS-HELP You may be eligible to receive HECS-HELP for this course! This course can be paid for through the HECS-HELP government loan scheme. If you are an Australian citizen or hold a permanent humanitarian visa, you may not need to pay upfront. Instead, the Australian government will pay your course fees directly to the provider on your behalf. You'll begin repaying your loan through the tax system once you start earning more than the minimum threshold of $55,874 (2017-18 income year). Find out more about government study loans here. Fill out this form and a study consultant from Deakin University will get back to you.